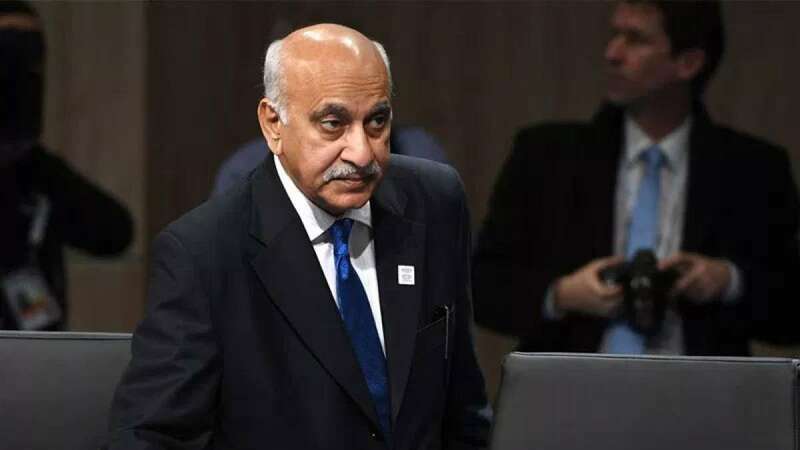 New Delhi : Union Minister M.J. Akbar on Monday filed a criminal defamation complaint against a journalist, Priya Ramani, who had accused him of sexual harassment amidst the raging #MeToo movement in the country. Akbar has been accused of sexual harassment by several women journalists who had worked with him. He has denied the charges as "false, wild and baseless". Akbar, in his complaint, said that it was apparent that the false narrative against him was being circulated in a motivated manner and for the fulfilment of an agenda. Around a dozen women journalists have accused Akbar of sexual harassment and molestation, leading to a growing chorus for his ouster as the Minister of State for External Affairs. Countering the charges, Akbar claimed that false and defamatory statements which were widely published in the media had caused irreparable loss to his reputation. Akbar's complaint was filed in the Patiala House court complex. Akbar has sought Ramani's prosecution under Section 500 (defamation) of the Indian Penal Code. He alleged that Ramani wilfully, deliberately, intentionally and maliciously defamed him by making a completely false and frivolous statement which has harmed his goodwill and reputation within the political fraternity, media, friends, family, colleagues and society at large. "That the scandalous allegations leveled by the accused against the complainant (Akbar) herein, by their very tone and tenor, are ex facie defamatory and have not only damaged the goodwill and reputation of the complainant, in his social circles and on the political stage, established after years of toil and hard work, but have also affected the personal reputation of the complainant in the community, friends, family and colleagues, thereby causing him irreparable loss and tremendous distress," said the complaint filed by advocate Sandeep Kapur. The advocate said that woman journalist had mentioned incidents which allegedly occurred 20 years ago and she had simultaneously admitted that Akbar had not done anything to her. "It is pertinent to mention that the conduct of the accused person (Ramani), of not taking any action before any authority, qua the alleged incident against the complainant (Akbar) also clearly belies the sanctity of the article and allegations made by the accused person, which evidently goes on to prove that the said defamatory articles are only a figment of her imagination and are only intended to malign the reputation of the complainant," read the complaint. "...while admitting that the complainant (Akbar) has never done anything to her, the accused has intentionally put forward malicious, fabricated, and salacious imputations to harm the reputation of the complainant." Such publications have caused great humiliation to Akbar and his reputation had been severely tarnished in the eyes of the public as well as his family, friends, colleagues, political fraternity and associates, the advocate said and requested the court to take action against the woman journalist. Akbar listed two senior women journalist and four other people as witnesses to prove his defamation charges against the woman who accused him of sexual harassment charges. Advocate Kapur said that Akbar was a veteran journalist and had authored several renowned books. He had a long career in journalism and launched India's first weekly political news magazine, Sunday, in 1976, and two daily newspapers 'The Telegraph' and 'The Asian Age' in 1989 and 1994 respectively. Akbar has remained associated with leading media houses and periodicals.